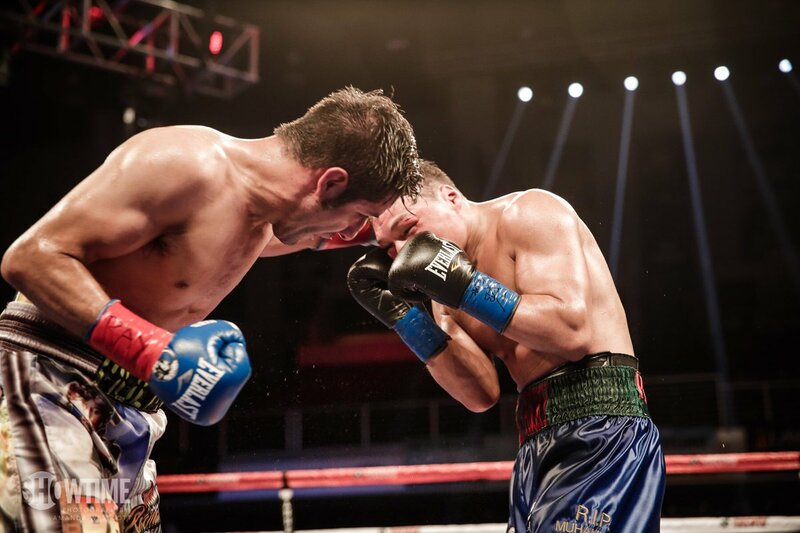 These days Ruslan Provodnikov (25-5, 18 KO) even gets out boxed by John Molina, Jr. (29-6, 23 KO). 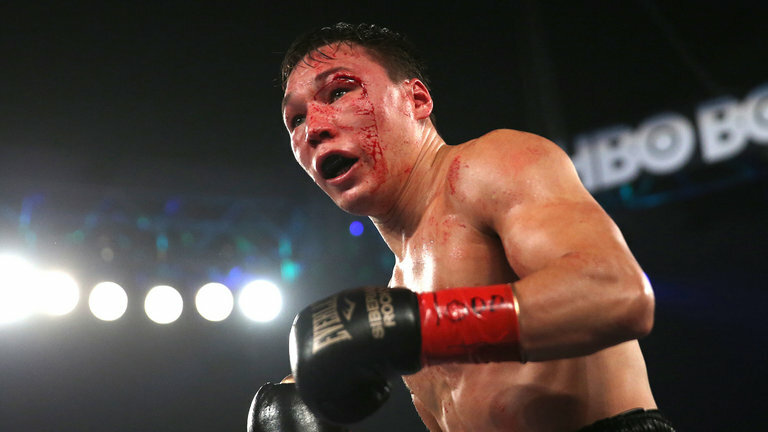 Ironically, when Provodnikov bounced around on his toes and let his hands down, he looked very fluid, moved his head, and slipped some punches, while landing lead left hooks. But that was all for naught - later in the fight, when he was well behind and seemed to relax out of not caring about what he was doing. Provodnikov would perform decently if he were a rangier boxer, for he is a better boxer than John Molina, the very guy who out boxed him. He does not want to chase his opponents around the ring; he wants the fight brought to him. When he leaped in with his left hooks, he appeared to have more spring and quickness than Molina, yet he never cut off the ring. As if Provodnikov under performs due to mental laziness. There is less quit in Provodnikov when he is being battered, a la Lucas Matthysse – on the contrary, in an endless fight he would likely make Matthysse quit -, than when he takes less punishment from a mover. In any case, blatant hypocrite John Molina, Jr. complains about boxers moving around too much for his taste, such as when he fought Adrien Broner, but he personally wants to win his fights against punchers by moving around and jabbing ad nauseaum. Post fight, he attributed his improved boxing skills to his new trainer, a snub of his former trainer Joe Goosen, to whom he was perceived to be close. But whatever. The scorecards were 116-112, 117-111, 115-113 all for John Molina, Jr.
Provodnikov ought to start winning some fights. As much as he detests slick boxers as well, getting out boxed by John Molina, Jr. is truly unacceptable and unwatchable. For at least Matthysse was thought to have been an underrated boxer.